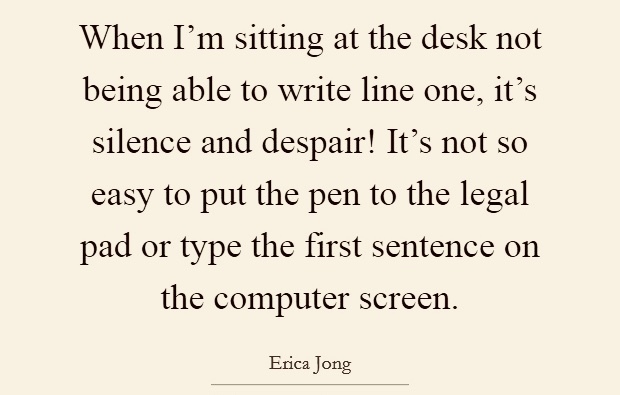 How many times have you sat at your desk, staring at a blank or partially-filled screen and worrying about words? Words that won't come, words that seem wrong, words that don't sound right, too many, too few... Writing is not always a jolly picnic, and I'd like to bet that every writer has sat staring into the black hole of despair over words at some point. I certainly have and do, and as I suffer from depression anyway, I have to be careful not to let myself get sucked in, or to let the anxiety over any of those wordy panics grow, especially when deadlines are looming. Sometimes I go and do something else till I've calmed down. I have some strategies that mostly work, but not always. Sometimes writing something totally different works -- a poem, maybe. 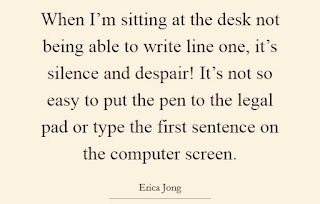 Or using a random slew of word prompts from a writing friend who posts them on Facebook to write something that doesn't really matter (one recent collection was bellybutton, conquest, dark, shock, date, cool, kisser, sprawled, melt, split, wrist). Sometimes I give in and procrastinate on social media, which is not good for mental health either. Or I take a creative nap, which means lying horizontal and sleeping for a bit. What I've never done is to take the advice of many (including my doctor and some well-meaning friends) and go for a walk, convincing myself that I couldn't do any form of physical exercise (and that I hated it). For many reasons I won't go into at length, I gave up on exercise a long time ago. Copious amounts of steroids, a myriad operations, mental and physical illness all gave me perfectly valid excuses (I thought) to just let my body do what it wanted, which was mostly to sit down and eat chocolate whenever the mood took me, with predictable results. After all, I was in my mid-50s, I told myself, it was too late and who cared if I was a size 20? Then, in March last year, I hurt my knee and it wasn't getting better, even with physiotherapy. That was when the knee surgeon came in and shocked me out of my lethargy with a diagnosis of pretty bad arthritis, and a few well-chosen words. "It's a question of mechanics," he said politely but firmly. "The more weight on your joints, the more wear and tear. You'll be in a wheelchair by the time you're 65 if you don't do something about it now." A year later, I have indeed 'done something about it', and a month ago, much to my own surprise, I took up the Couch-to-5k challenge, inspired by two other writers (you know who you are!). And that's where the Desk Warrior bit comes in. Again, much to my surprise, when I'm running, my mind kicks into creative gear. Those word worries seem to disappear, and ideas flow. It's a sort of miracle as far as I am concerned, and I get back to my desk in definite warrior mindstate. Maybe it's those exercise endorphins I never truly believed in before, maybe it's just that running (and the in-between walking bits) free my mind and put it into creative reset again. And I guess that if I, of all unlikely people, can run three times a week (sometimes in the freezing rain) in the face of all the blocks and barriers against exercise I set for myself, then a mere writing block or word worry seems much less scary. My running is still very much a work in progress, but I'd like to apologise for all the snarling I did in my head (and sometimes aloud) to all those people who told me that exercise would help more than just my depression. It really, truly does. And it turns out you can teach an old dog new tricks after all. I never have been anything like fit but I've always walked a lot-- mostly because, decades ago, I got fed up of waiting for buses and found that, mostly, I could walk wherever I wanted to go in the time I spent waiting for a bus. And I've always found that the rhythmn of putting one foot in front of the other, especially in some beautiful place, helps with thinking and helps ideas to come through. There is a theory that this is because walking through landcape is what we evolved to do. Dunno about that, but I've found that it always helps. That's really impressive, Lucy, especially the effects on your creative mind. Congratulations! Mind you, running is an almost impossible thing from where I stand (or sit!) even if bear were chasing me. Think I'll keep on with the walking. However, my quiet trot round the block will be the very opposite of Charles Dickens' approach: he walked for miles and miles at night, working out the plots of his novels as he paced along. How brilliant! You are inspiring!